Box Mod con Controllo Temperatura a Voltaggio e Wattaggio Variabile. Atomizzatore GS Tank non compreso nella confezione. 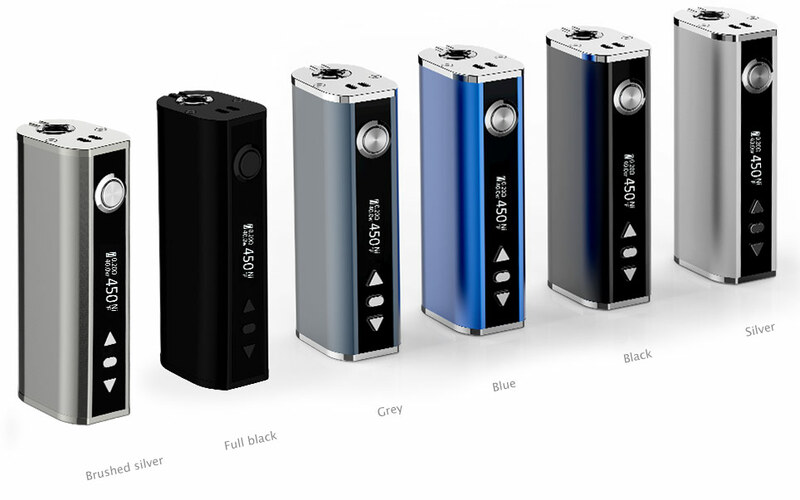 By adjusting temperature in TC mode(Nickel 200), you can enjoy different vaping experience at different temperature settings. 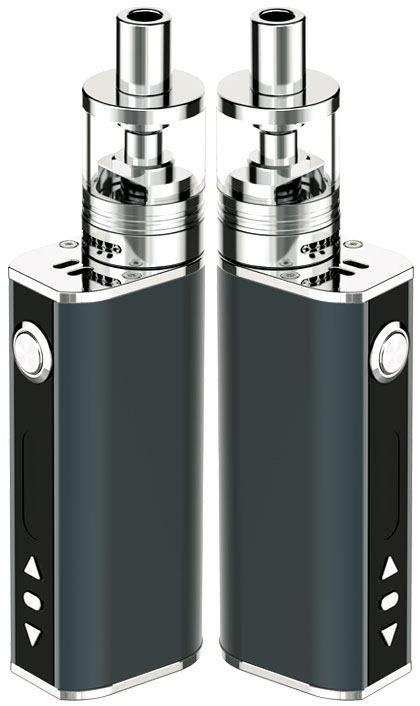 With temperature control function, it will consume much less battery power and e-liquid in TC mode(Nickel 200) than in VW mode. 3.Clear OLED display: In typical VW mode, the OLED screen displays battery power, resistance, voltage and wattage clearly. 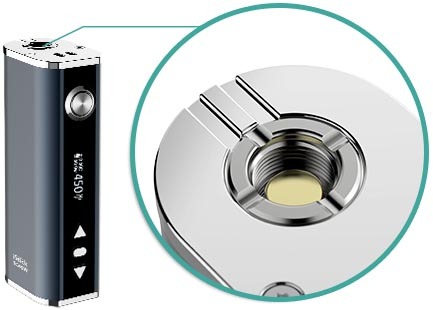 You can see clearly battery power, resistance, wattage and temperature in innovative TC mode(Nickel 200). 4.Accurate reading of resistance: The reading of resistance becomes more accurate with the number down to the second decimal point. 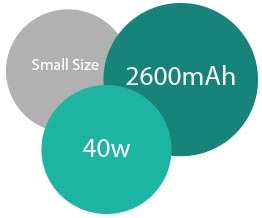 5.Large output and power capacity: Despite the small size, it can reach 40W output with 2600mAh power capacity. The battery power indicator on the screen will keep flashing when the remaining power is less than 10%. 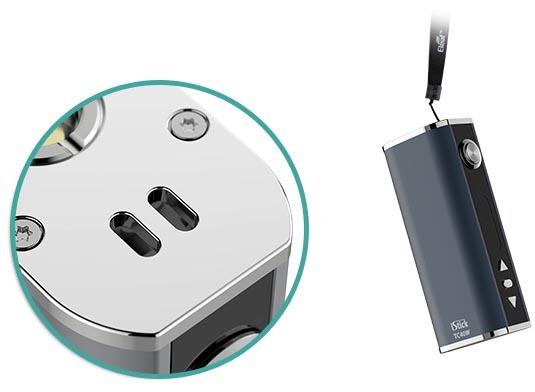 It can be charged with the USB cable through the USB port at the bottom. 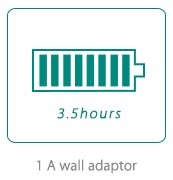 It will take about 3.5 hours to get a full charge via 1A wall adapter. 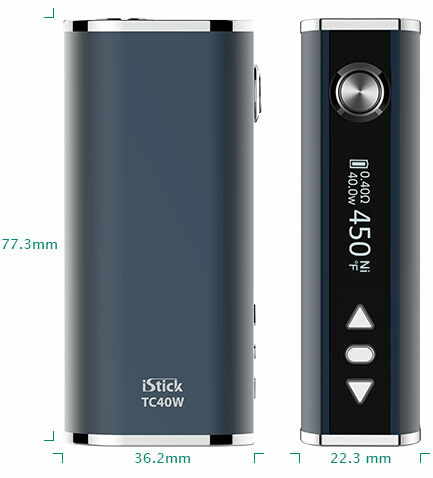 The best match for iStick TC40W is GS-Tank atomizer. 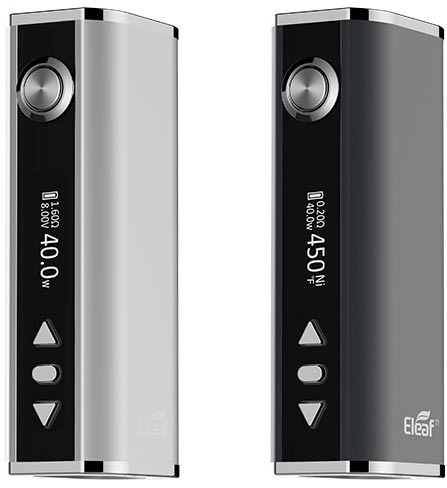 This perfect combination will give you an amazing vaping experience.